There is no doubt that blood donation can help out to save a life. Giving blood is a simple, safe way to make a big difference in people’s lives. Blood donors in India donate around 350 milliliters of blood. India has several blood donation organizations, both governmental and non-governmental. Organizations are conducting blood donation camps to for the blood banks. Some major organizations operate in multiple regions throughout the country while other is regional and operate with local support with their funds. The World is observing Blood Donation Day on June 14. The day is being observed to raise awareness of the need for safe blood and blood products and to thank blood donors. Any severe blood loss or an accident, lose blood during major surgeries, Anaemia, Cancer, Sickle cell disease, thalassemia, pregnancy or childbirth etc may need blood. India 60 Tankers Short Of Blood In 2016-17, As Shortage Increases. In 2016-17 Maharashtra collected over 1.4 million units of blood, the most in the country in absolute terms, 20% more than it needed. 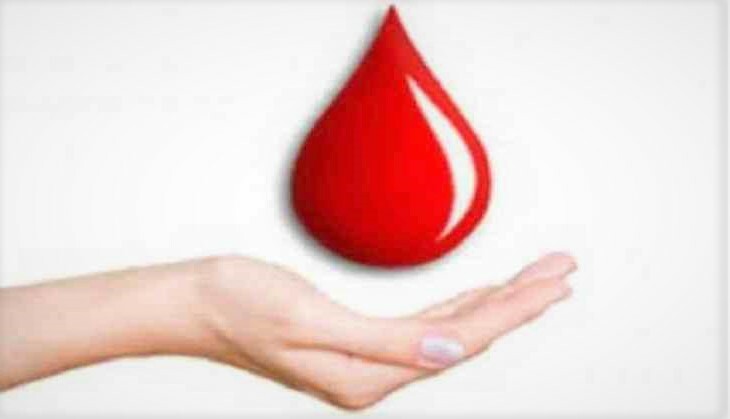 It was followed by West Bengal (1 million units) and Karnataka (960,049 units), Many states remain short of blood. O-negative blood type. O-negative blood type donors are universal donors as their blood can be given to people of all blood types. 4 percent of people have AB-blood type. AB-type blood donors are universal donors of plasma, which is often used in emergencies, for newborns and for patients requiring massive transfusions. Blood makes up about 7 percent of your body’s weight. There are four types of transfusable products that can be derived from blood: red cells, platelets, plasma, and cryoprecipitate. Typically, two or three of these are produced by a unit of donated whole blood – hence each donation can help save up to three lives. Overall health- The donor must be fit and healthy and should not be suffering from transmittable diseases. Age and weight- The donor must be 18–65 years old and should weigh a minimum of 50 kg. Pulse rate- Between 60 and 100 without irregularities. Individuals suffering from ailments like cardiac arrest, hypertension, blood pressure, cancer, epilepsy, kidney ailments and diabetes. A person who has undergone ear/body piercing or tattoo in the past 6 months. Individuals who have undergone immunization in the past 1 month. Individuals treated for rabies or received Hepatitis B vaccine in the past 6 months. A person who has consumed alcohol in the past 24 hours. Individuals who have undergone major dental procedures or general surgeries in the past 1 month. Women who have had a miscarriage in the past 6 months. Individuals who have had fits, tuberculosis, asthma and allergic disorders in the past. All donated blood is tested for HIV, hepatitis B and C, syphilis and other infectious diseases before it can be transfused to patients. Any infection means can’t donate blood.